Lee Bob Black is a staff writer and editor for the SkilledUp Learning Hub. Connect with him on LinkedIn and Google Plus. In business, what factors foster creativity and engender success? Conversely, what factors stifle creativity and endanger success? Ed Catmull, the president of Pixar and Disney Animation (otherwise known as the guys that brought us Up, Finding Nemo, Frozen, Tangled and many other animated hits), has more than a few intriguing ideas about creativity and success. Catmull explored many of his insights in his new book, co-authored with Amy Wallace, Creativity Inc.: Overcoming the Unseen Forces That Stand in the Way of True Inspiration. 1. Creativity transcends job titles and company hierarchies. 2. Your creative goals might take years to realize. As a kid, Catmull dreamed of creating the first computer-generated animation film. It took him about twenty years. There are two common sense lessons here: creativity is an ongoing process; and it might take years—or even decades—for your creative pursuits to be achieved. 3. Hire people more intelligent and talented than you. This is not revolutionary. Indeed, it’s a common refrain. Many business moguls have put this into practice. Have you? 4. Be a problem hunter. According to Catmull, being on the lookout for problems isn’t the same as seeing them. As a leader, one of his aims is to enable people to do their best work. He does this by presuming that his colleagues are talented and want to contribute, accepting that his company unintentionally stifles talent in unseen ways, and that his job is to identify those impediments and fix them. 5. Your organizational structure shouldn’t be the basis for your communicational structure. Then he and his management team took it a step further: they adopted a belief that unhindered communication is key. After Toy Story 2 came out, Catmull realized that the main goal of the development department was backward. It had been to generate good scripts that potentially could be made into movies. After some serious soul searching, he came to the conclusion that, since ideas flow from people, people trump ideas. In his own words: “Going forward, the development department’s charter would be not to develop scripts but to hire good people, figure out what they needed, assign them to projects that matched their skills, and make sure they functioned well together. 7. Efficiency is a goal. Quality is the goal. 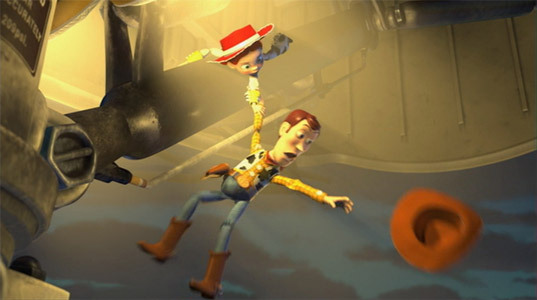 Toy Story 2 was originally going to be a direct-to-video movie. However, eventually Catmull and his team insisted that the movie be released in theaters. 8. Beware of potentially meaningless phrases. For years, Catmull and his colleagues would say phrases such as, “Story is king,” and “Trust the process.” However, he gradually realized that merely repeating—parrotting—such phrases to employees in meetings wasn’t enough. These phrases had to be substantiated by action. If they’re weren’t, they would just provide a false assurance that things were okay. 9. Acknowledge your inner fraudster. During the first part of his career, Catmull felt unworthy of managing so many people and projects. He felt like a fraud. It took many years for this feeling to subside. Since then, he has mentored several employees at Pixar. Each year he tells them his story about feeling like a fraud. Then he asks his mentees if they feel like frauds. All of them, according to Catmull, acknowledge that they do. 10. Listen to the Cassandras and address the hidden. In Greek mythology, nobody believed Cassandra when she was trying to save them by warning them that Troy was about to be destroyed. The Hidden is Catmull’s term for unseeable problems that will eventually make you screw up. Together, Cassandra and the Hidden are key concepts that Catmull uses to manage Pixar and Disney Animation. To address the Hidden, you have to be extremely vigilant for signs that you might be screwing up. You have to look for your blind spots. You have to seek out and listen to people in your company who are Cassandras. You should also never presume that problems don’t exist just because you can’t see them. Ignorance isn’t bliss. Occupationally, it’s often better—at least in the long-term—to be transparent, to reveal what you know rather than withhold information. In 1979, Catmull was asked in a job interview about what other people he thought should be considered for the job he was applying for. He quickly listed numerous people that he respected in his industry, many of whom had, unbeknownst to him, already been interviewed for the position. Remarkably, however, when those other candidates had been asked the same question, none had shared the names of any of their peers. As you can probably predict, Catmull got the job. The job was with Lucasfilm, working directly for George Lucas. We all stand on the shoulders of giants. Yet, this saying is mostly about using the breakthroughs of past big thinkers and successful achievers. It’s not—or, at least, shouldn’t be—about rehashing someone else’s business ideas or plagiarising someone else’s words. Creating shouldn’t be copying. According to Catmull, one ingredient that will help you create something authentic is research. Catmull writes about how you’ll never find the unexpected if you stick with the familiar. But he doesn’t just advocate searching online. He’s a staunch supporter of research trips of the physical variety, of going beyond your library and your browser. For research trips, Pixar has flown employees to France (to gain firsthand experience of fine cuisine that would be featured in Ratatouille) and to Venezuela (to see mountains that would be featured in Up). Perhaps you can’t afford such trips, but even talking to different people can help you gain perspective. Where will you go for a story or business idea? 13. Do postmortems after each big project. 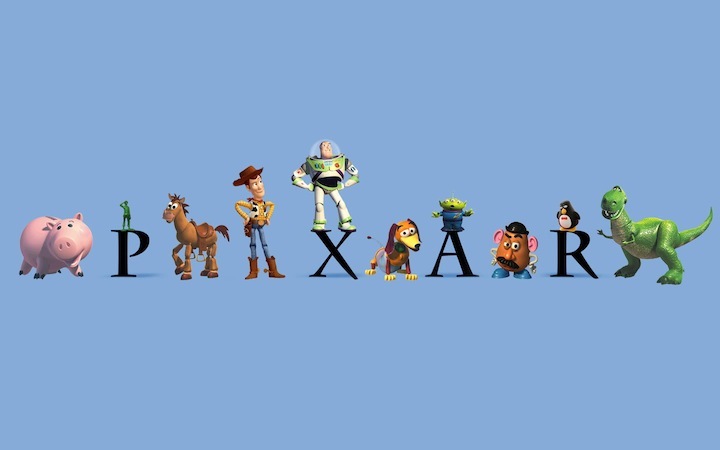 A postmortem is Pixar’s term for a meeting held after a film has finally been released in which management and moviemakers consolidate lessons learned. How many of us, after finishing an important deal, event, or whatever, really pause to take stock of what did and didn’t work during the project? My guess is that most of us don’t. Most of us just dive into the next project. If you’re that kind of let’s-move-forward person, consider at the very least doing this one thing that Catmull recommends: jotting down the top five things that you would do again and the top five things you wouldn’t do again. A tenet of the Pixar and Disney Animation culture is that people should work there because they want to, not because an employment contract binds them to work there. Nobody at these companies is “under contract” to work there for, say, the next three months, two years, or whatever. But that wasn’t always the case. When these two companies merged, Disney Animation extensively used employment contracts. According to Catmull, these hurt both the employee and the employer. So he eliminated them. In my opinion, someone overlooked creativity when they compiled the 7 Heavenly Virtues (faith, hope, charity, fortitude, justice, temperance, and prudence). The way I view life, if we’re not striving to be creative, in both our personal and professional capacities, then who are we? I hope you’ll get a chance to pick up the book and learn to see creativity from an entirely new light.